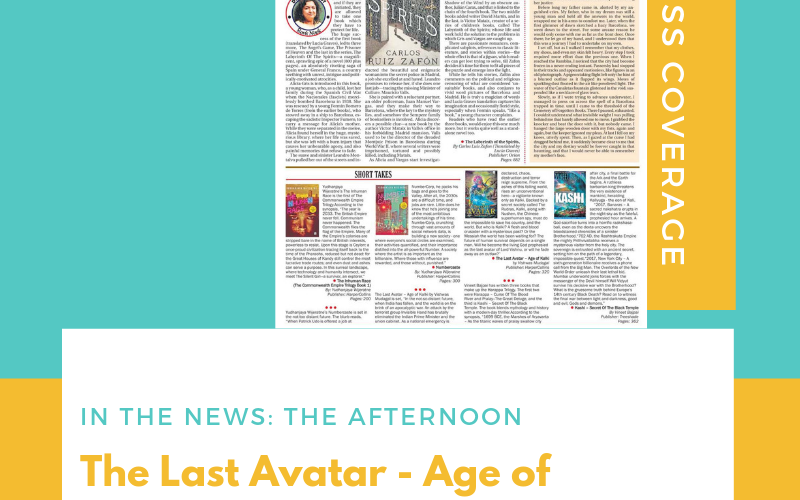 As 2018 is coming to an end, book lovers around the world are anticipating the release of Vishwas Mudagal’s new book – The Last Avatar from the Age of Kalki Trilogy. The book is published by Harper Collins and it hit pre-order on Amazon on the 29th of October, 2018. Ever since it has been riding high on Amazon charts. 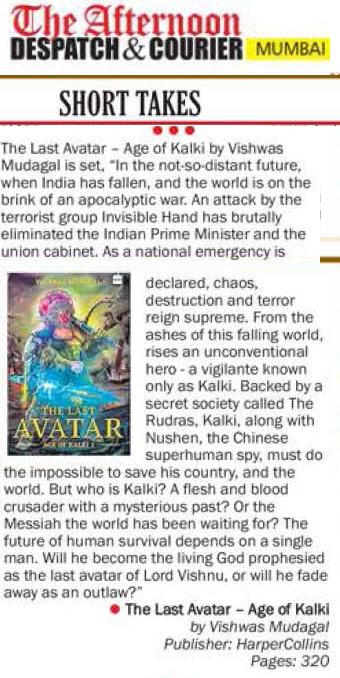 Even before the book has hit markets, audiences around the globe are intrigued by the mix of Mythology and Science Fiction that Mudagal has weaved into his latest book the Last Avatar. About the book – The Last Avatar. In the not-so-distant future, as the world falls victim to an apocalyptic war, a deadly sting operation by the terrorist group Invisible Hand brutally eliminates the Indian prime minister and the union cabinet. A national emergency is declared, while chaos, fear and death reign across the country. Against the backdrop of falling democracies around the world, an unconventional hero emerges – a vigilante known only as Kalki. Backed by a secret society called The Rudras, Kalki, along with Nushen, the Chinese superhuman spy, must do the impossible to save his country and the world. In this war to the end, will Kalki become the living God prophesied as the last avatar of Lord Vishnu, or will he fade away as an outlaw? Find out in the Last Avatar.